With the plethora of keyboard options out there, you’re probably wondering if you need more than 61 keys for your first keyboard. There are some really good 76-key keyboards and 88-key digital pianos, but is the significant price difference worth it? That’s what we’re going to find out in this post. Do you see yourself as a professional pianist in a few years? If yes, then a 61-key keyboard isn’t really going to cut it for you. Depending on your talent and your music development, you may outgrow your keyboard in a year. So, if you’ve got the money and the commitment to succeed as a musician or as a pianist, then it’s better to just buy a real acoustic or digital piano right away. 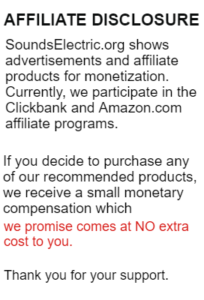 You’d not only need to worry about selling or giving away your keyboard, but you’d also get to save money in the long run. Pianos can last for years if you take care of it properly, so yes, it’s going to be a good investment if you’ve got the skills to match it. But if you’re only playing as a hobby, then you could be throwing your money away if you buy an expensive piano. In that case, a 61-key keyboard will be more than enough for your needs. 61-key keyboards are obviously going to be cheaper than 76-keys and 88-key ones. If you only have the budget for a 61-key keyboard for now, don’t fret. There are many excellent keyboards from Casio and Yamaha that cost well under $200! Some of their older models can even go for as low as $100! However, if money is not an issue, then by all means, go for a 76-key keyboard. There’s probably a $100-$300 difference in most cases, so if you’ve got that extra cash lying around, then go for the 76-key keyboard. Better yet, if you can afford to go for the “real thing,” then do so. But then again, you need to consider your commitment and how seriously you’re going to take your piano lessons to make it a worthwhile investment. It’s going to be tough moving a piano that weighs several hundred pounds. So, if you’re planning on relocating to another place, then it’s better if you just purchase a portable keyboard for now. Obviously, a 61-key keyboard will have smaller dimensions than a 76-key or an 88-key keyboard, so keep that in mind if you’ve got limited space in your room or house. 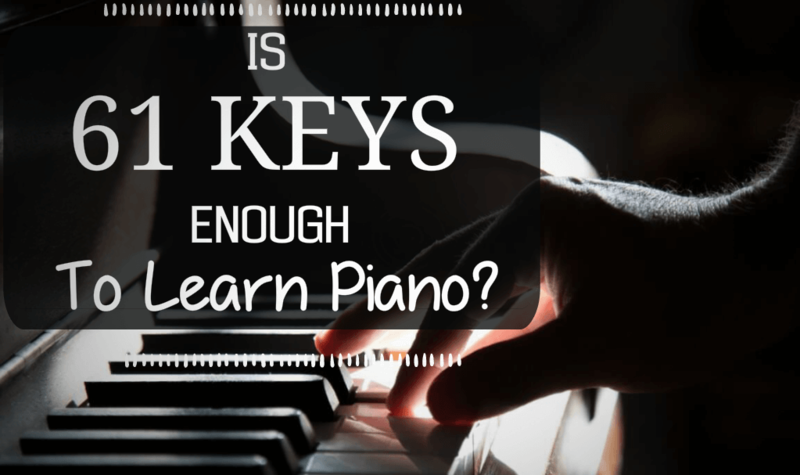 So, can you learn how to play piano on 61 keys or not? Just remember that learning how to play piano will take time. So, you better get your ducks in order and commit to pursuing your passion before you spend a considerable sum of money for a real piano. If that’s something you’re not sure about at this point, then don’t worry, a 61-key keyboard will suffice for now. Well, we hope this post has been helpful to you all. Remember, learning how to play the piano isn’t a race, it’s a marathon. You may not become a master pianist in a week or a month, but with time and practice, you can certainly reach your desired level of expertise!